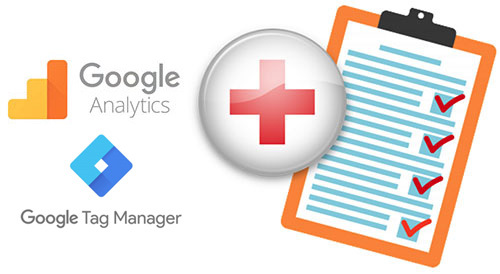 Google Analytics setup packages for every business size and budget. Google Analytics is a great tool for learning about how much traffic comes to your site and what it does when it gets there. But the true power of Google Analytics only comes from a customized setup that matches your business and website. Your web developer may excel in coding but it is unlikely that they possess advanced knowledge of the Google Analytics and the intricacies of your business and data requirements. The configuration of your account is different for every business which means a professional Google Analytics setup goes past the basic code implementation that most clients end up with after a new build. We work with your existing developers and agencies to make sure you get the full picture. 95% of the accounts we have audited are wrong. This seems pretty high and it can’t be true that 95% of developers, designers and marketing agencies are bad at what they do so what is the reason for this? It’s not what they do, at least not all day everyday. Web developers and designers – often when you build a website transferring over analytics code is a professional courtesy. Customization of the setup is not what the company does so this is not recommended as a service. We can fill the gap. Marketing agencies may have talented accounted managers, and Google Analytics setups may even be a service listed. But it’s not likely to be a core function or specialization. Without regular work or a practiced implementer mistakes can creep in because the platform is constantly evolving. We understand and we love working with agencies and marketing companies. If your internal team is trying to setup and customize your Google Analytics account – they will need support or there will be problems in the implementation. We’re here to make you look good. We specialize in Google Analytics and we will work with your internal or external team to help them specialize in what they do. If you are unsure if you need a new setup, please contact us or see our audit page for more information. Our services focus completely on ensuring you have the best possible decision-making at your fingertips. So you can be completely sure that our advice and consultation is impartial as we categorically do not offer any kind of actual marketing. After all, you wouldn’t ask your hairdresser if you need a haircut. Why would you ask your agency if you need more marketing? The goal of Google Analytics setups is to bring clarity to your analytics, with a strong implementation you can lay the foundation identifying the lost opportunities in all areas of your marketing. Think of our team as your own virtual, digital marketing assistants. We have a number of setups to suit any budget and need. Remember, if you’re not tracking then your wasting money. The basic code setup is similar to setup you will receive from most developers, but with a basic customized setup within the actual Google Analytics platform too. Although we strongly recommend a more extensive setup. Time is money, even more so with analytics and if you’re not at least tracking sessions you’re losing valuable data that will help you later on. This is the minimum bar for your analytics account; if you value your data and are planning to make decisions on the insights drawn from it. The gold standard account will solve most of your data needs and form a solid bedrock for any further work. This is recommended for small e-commerce sites or small to medium lead generation sites. The Absolute audit means you can be completely confident that your data is correct and your setup contains everything you need. This setup is highly recommended for e-commerce sites and clients with a medium to large marketing spends. Are you looking for more than a Google Analytics setup? We can help with that too. Please don’t hesitate to Contact Us and we will work out a package that works for you. All our setups come with a 3-month warranty, we will fix for free, up to the cost of the original implementation.